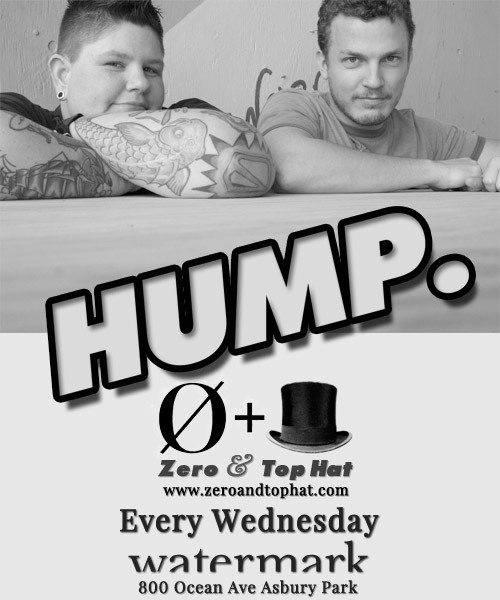 Andrew Top-Hat and I are exciting to get rolling on the Summer season with our weekly dance party Hump. debuting tonight at Watermark in Asbury Park NJ. We’ll be playing disco, house, R&B, pop, moombahton and some other super fun stuff. Come by and check out the coolest Wednesday party Asbury has to offer. I’m super excited to announce Hump. a new party that I have created with Andrew Top-Hat! We will be playing every Wednesday night at Watermark in Asbury Park NJ from 9pm – 2am. Our musical selections will run the gamut of disco, house, R&B, moombahton, reggae, etc, basically fun music with dance beats (sorry Andrew). What is a better way to break up your week then to go out dancing on a Wednesday night. We look forward to seeing you there! I will be broadcasting Saturday nights from 7 – 9pm Saturday nights on my Ustream Channel Tru & Deep. I plan on playing a wide array of new and old house ranging from soulful to deep to tribal and tech house. Also, I am going to record the mixes which you can watch again on Ustream or I will upload the audio to my Mixcloud channel. I hope to get the mixcloud podcast up on Monday mornings. Look out for the first Tru & Deep May 5, 2012 show which is up on Mixcloud now! Mister Zero & Andrew Top Hat will be announcing summer dates soon. Plus we’re making a website dedicated to our future endeavors playing together. This summer is gonna be nuts! Keep it locked for details. Drink, Laugh, Have Fun and Get into the Groove with Mister Zero! House, Disco, and R&B all night long!